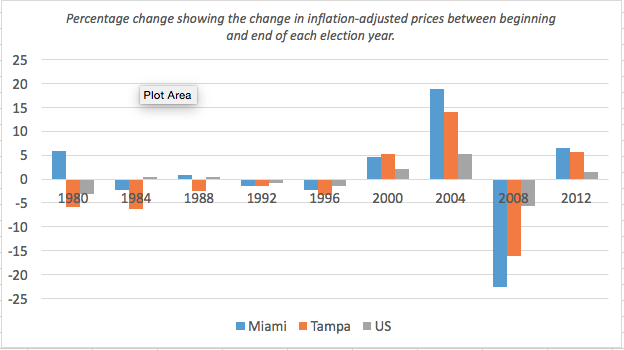 How the Florida Housing Market is Affected Before & After a Presidential Election Year – ~EARN. INVEST. REPEAT. Many factors go into affecting the housing market (prices, values, etc) and I believe the presidential election is one of them. This year the Presidential Election process has been entertaining (coming from someone who loathes politics). 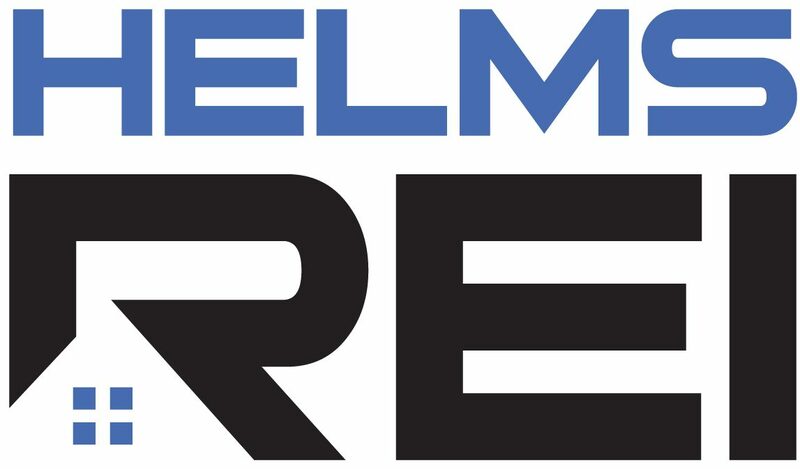 As the entertainment keeps piling in, I can’t help but wonder what typically happens to the Pensacola housing market before and after a Presidential election year. Google doesn’t return much on the subject but I did find a few sources where I was able to extract some data that focuses on some of the larger cities in Florida. I can’t find any info that directly shows how the election cycle affected areas of Escambia & Santa Rosa counties, but nonetheless, here is what I’ve found for Tampa and Miami and compare those to the rest of the U.S. Figure 1 shows the % change in the housing market (inflation adjusted) prices from the beginning to the end of each election year. 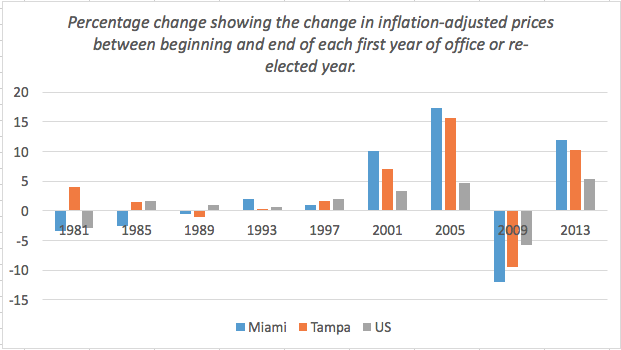 For example, in 2004 Miami experienced nearly a 20% increase in housing prices from January 2004 and December 2004. And in 2008, Tampa saw a >15% decline in housing value starting from January and ending in December. Below, Figure 2 shows the same data, just for the first year of office or first re-elected year in office. For example, from January 2005 until December 2005, Miami saw approx. 17% increase in home value. And in 2013, Tampa saw approx. 10% increase in home value from January to December. A lot of Real Estate industry experts are predicting a dip in the market around Summer 2017. Those guys are certainly using more variables than just the election cycle. However, if you compare the two graphs (election year vs. first year in office), odds are favorable for a bump UP in housing market values when looking at 20+ years of a single point of data. Who’s right? Who’s wrong? Only time will tell. #Vote2016!